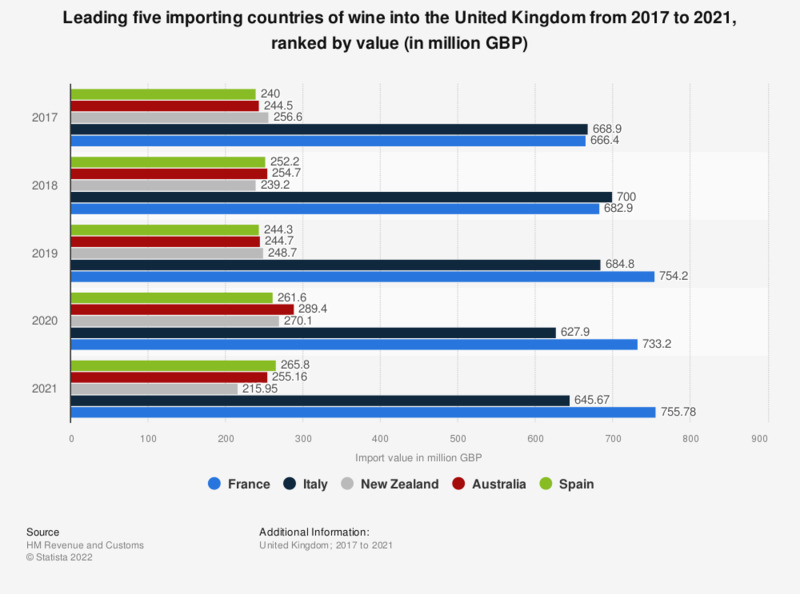 This statistic shows the leading five importing countries of wine into the United Kingdom (UK) in 2017, ranked by import value. Italy ranked highest, with wine imports valuing approximately 669.4 million British pounds, followed by France accounting for 666 million British pounds worth of UK imports. Imports of wine to the UK predominantly come from the European Union, with the majority of consumers drinking wine on a weekly basis. Household purchases of table wine are currently experiencing a decreasing trend in favor of increased champagne and sparkling wine purchases. White wine makes up the majority of wine sales based on color, with pinot grigio the preferred variety of wine amongst wine-drinking adults. Everything On "Wine market in the United Kingdom (UK)" in One Document: Edited and Divided into Handy Chapters. Including Detailed References. Statistics on "Wine market in the United Kingdom (UK)"
Do you normally buy the same wine products?